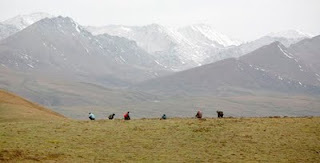 As a result, Tibetan nomads, who are being made to abandon their livestock and forced into state-built barracks, scour hills to pick as many caterpillar funguses as possible. With no other source of income or skills to find alternate jobs, collecting Yartsa Gunbu is their only mean of surviving. In Kyegudo in Eastern Tibet, which was hit by a devastating earthquake in April 2010, almost the entire population hunts for Yartsa Gunbu. Jonathan Watts, the author of When a Billion Chinese Jump, writes that the Chinese middlemen buy the fungus for about 30 Yuans a piece from Tibetan collectors and then sell them in Chinese cities for twice its weight in gold. 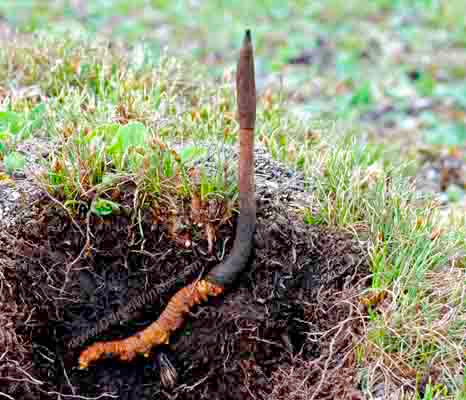 However, soaring demands and intense harvesting of caterpillar fungus on the Tibetan Plateau is damaging the hillsides and leading to violent land disputes, cultural degradation and communal conflicts. The local party cadres sell out licenses which allow the local Tibetans to hunt for Yartsa Gunbu. The Tibetan collectors then have to sell the fungus to the cadres or their agents, who make exorbitant profit in the process. 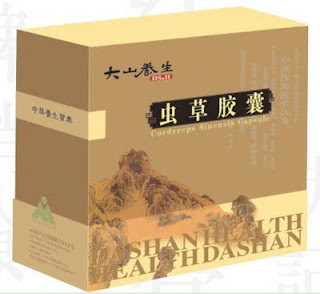 In the peak collection time in the summer, the Chinese middlemen organize video nights in the hills for the root collectors during which adult films are shown and cheap alcohol is sold. There were also a few cases of violent clashes between Tibetans over collection areas. In July 2007 eight people were shot to death and 50 wounded in one area in Eastern Tibet over Yartsa Gunbu. My first taste of this highland Viagra was in the summer of 2009 in New York City. My friend Tendor, the executive director of the Students for a Free Tibet, was gifted a few caterpillar fungus by a friend. Tendor had the fungus soaked in a glass and one morning, he asked me to have a sip. “This is Yartsa Gunbu and it will make you strong,” he said somewhat mischievously. I carefully looked into the glass to find a few floating things which looked like enlarged and discoloured-earthworms. I took a couple of large sips and waited for the magical fungus to take effect. I was disappointed that nothing happened. Perhaps, the famous Tibetan aphrodisiac doesn’t work for me. Irrespective of its potential medicinal values, the caterpillar fungus is wrecking havoc on the Tibetan Plateau largely fuelled by Chinese people’s demand for it and the Chinese government policy to drive over 2.5 million Tibetan nomads into permanent settlement, which is destroying over nine thousand years of Tibet’s mobile civilization. [ A fake/ same family...toxic YGNB is also in circulation] as per the film. Drop by anytime to collect it. its funny this term inji ( i use it too with my tibetan friends). it was a very derogatory term in xenophobic old tibet referring to outsiders and implying materialistic values, yet now a half a century later after most of the aid and political support has been given to the tibetans by these same "injis" the grateful tibetans still use the term. its just a word but words reinforce dogmas. can some tibetan speaker tell me a polite term in tibetan for westerner?